The 2019 Subaru Forester will be officially revealed on March 28th at the New York International Auto Show, but images have surfaced online of the redesigned SUV. Forester gets a complete remodel for the 2019MY and it gets new exterior styling. 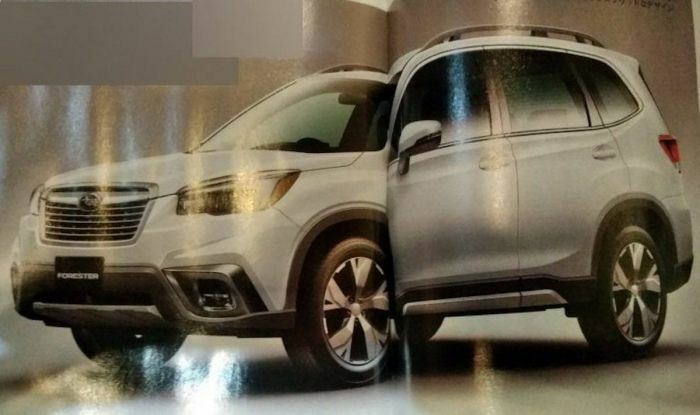 From the leaked images, apparently from a Japanese magazine, and found on Allcarnews, the new fifth-generation Forester won’t be a radical departure from the outgoing model. Like Crosstrek, the new Forester will get redesigned headlights, a new grille design, new rear taillights and possibly a wider rear tailgate opening. Subaru is always conservative when it comes to their remodels, and the new 2019 Forester won’t be any different than previous new-generation upgrades on the outside. While the leaked images have not been confirmed, we do know the all-new 2019 Forester will get radical changes under the skin of the new model. The redesigned SUV will feature the new Subaru Global Platform improving driving dynamics, come with a quieter cabin, feature more interior room, and increased safety. Forester is the number-two selling vehicle in the Subaru stable, behind the SUV-alternative Outback, and Subaru isn’t going to mess with the success of their all-wheel-drive Forester with radical exterior changes. They could begin to offer new engine options not seen on Forester before. While it hasn’t been confirmed by Subaru, the fifth-generation Forester could get hybrid power in the near future. It has been confirmed, Subaru will launch a new plug-in-hybrid before the end of the year. It could be the new-generation Crosstrek, or possible the 2019 Subaru Forester. The all-new Ascent 3-Row comes with the new 2.4-liter turbo four-cylinder Boxer that Subaru now has in their stable of engines. Subaru has been quiet about the new Forester engine, but it will likely get a newly-redesigned 2.5-liter DIT powerplant. The all-new fifth-generation 2019 Subaru Forester will be officially revealed in New York on March 28 and arrives in showrooms October 2018. Hmmm, no surprises in design. I was hoping for a bolder look, but the enhancements in and out should suffice. I can live with the changes to the front but the rear looks cheap and common looking as with all the other want to be's. Doesn't seem to match the rest of the car. We have a 2010 and 2012 Forester, and this is still the best looking classic Forester style made, in my opinion as a longtime Subaru Forester owner. Have a nice day. 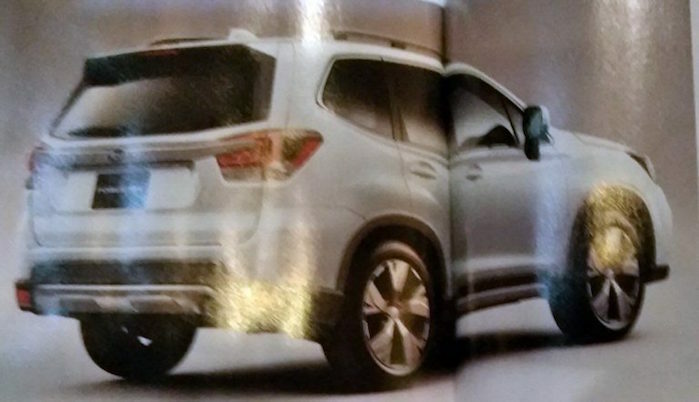 * I have a 2008 Forester and am looking to buy a new Subaru, but am waiting for the 2019 Forester reveal. * Will the 2019 Foresters come in manual transmission and if they come in a manual transmission version, will that model also come with a CD player? That's basically all that I need. * Also what colors will the new 2019 Foresters come in? March 29,2018 Well, the new 2019 Forester was revealed yesterday and it wasn't made with manual transmission. So much for that. It will now either be a Crosscheck or I might have to go over to Mazda.